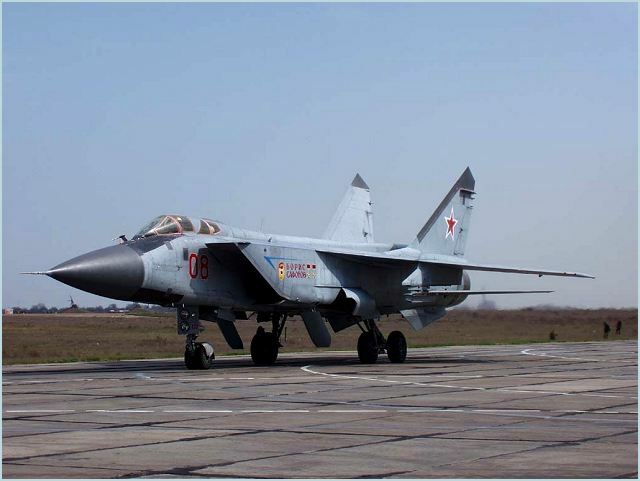 Thirty MiG-31 fighter aircraft of Russian Air Force always ready to protect the airspace of Russia. More than 30 MiG-31 Foxhound supersonic interceptor aircraft are on round-the-clock high-alert duty every day protecting the Russian airspace from airborne threats, Air Force spokesman Col. Vladimir Drik said. “MiG-31s scramble every time they receive warnings of a potential violation of the Russian airspace, including the appearance of foreign weather balloons in the stratosphere,”Drik said on Saturday . The official said the MiG-31s are usually accompanied by highly-maneuverable Su-27 Flanker fighter jets, which provide protection for heavy interceptors. MiG-31 interceptors are an integral part of a comprehensive aerospace defense network being created in Russia to thwart any potential airborne threats, including ballistic and cruise missiles. According to various sources, about 500 MiG-31s have been produced since serial production began in 1978, approximately 370 of which remain in service with the Russian Air Force. Russia plans to upgrade more than 60 MiG-31 interceptors to the MiG-31BM version by 2020. The modernized version is fitted with upgraded avionics and digital data links, a new multimode radar, color multi-function cockpit displays, and a more powerful weapons-control system. It can detect airborne targets at the range of 320 kilometers (200 miles) and simultaneously track up to 10 targets.